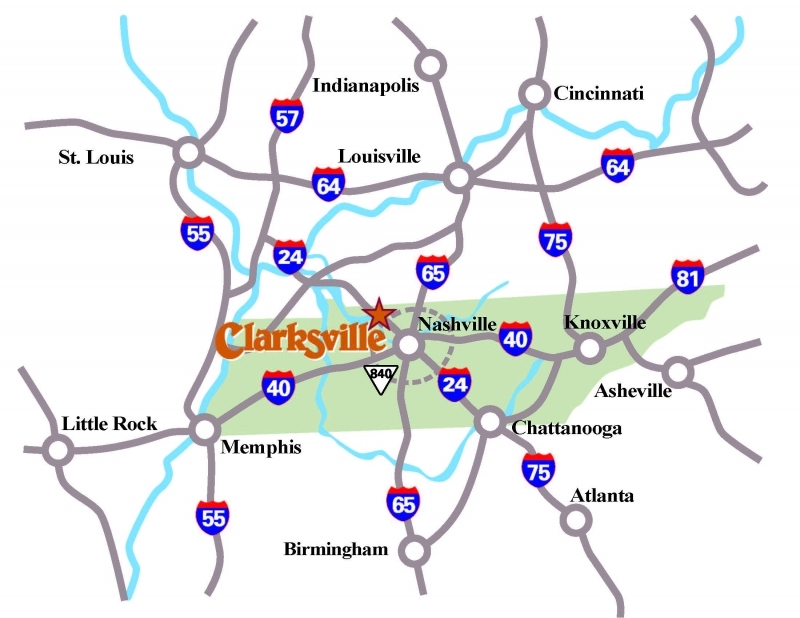 Clarksville-Montgomery County, Tennessee, is a vibrant community located in Middle Tennessee off I-24 just 40 minutes Northwest of Nashville, and approximately 250 miles from the population center of the United States. As the fifth-fastest growing city in the nation and the second fastest growing MSA, Clarksville-Montgomery County is experiencing tremendous change. New schools, new Industries, a new hospital, and new residential developments are exciting current events in Clarksville-Montgomery County. And, even though new developments are taking place, Clarksville-Montgomery County is still a community that is steeped in history and heritage. Visitors and residents alike can experience history through area attractions, unique architecture, and a variety of festivals and entertainment events that take place year round. A mild climate, four distinct seasons, and a low cost of living are just a few of the reasons why nearly 190,000 residents call Clarksville-Montgomery County home. Whether you're planning a visit or event, building a business, or relocating, Clarksville-Montgomery County is an excellent choice!